Something you just don’t see every day. 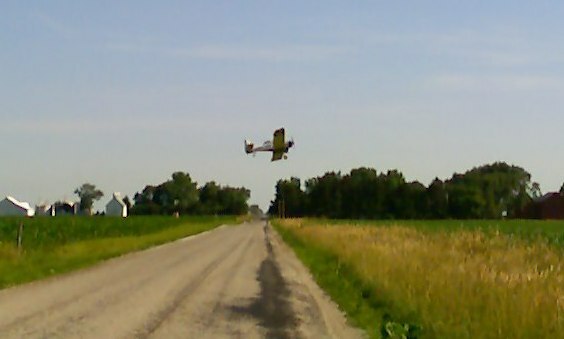 I was driving home today and had to stop to let an airplane cross the road in front of me. I only had a cell phone camera, so excuse the poor pictures. It was hard to time the shot with the plane moving so fast and the lag time on the camera, so the first shot caught the plane with the trees in the background. No missing it on the second shot, though.